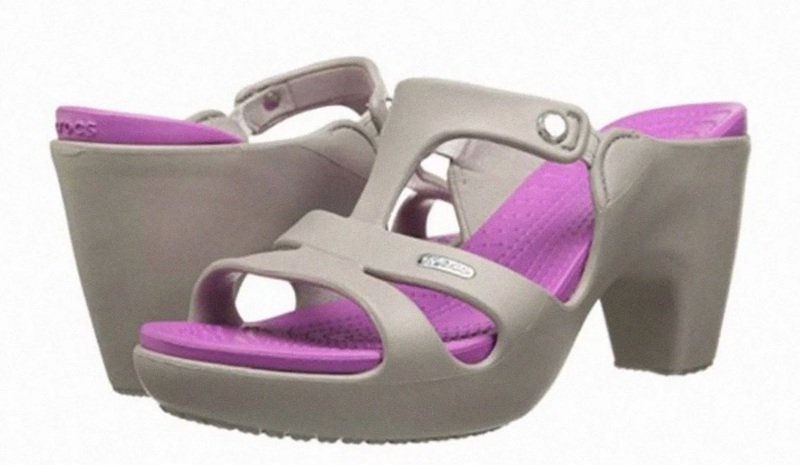 OMG, they made a high-heeled Croc (again)! But wait, there’s still more to hate about this new shoe: let’s remember, like the rest of the Croc, the heels are made of rubber. Rubber bends. Women are already less stable when their bodies are tilted at an angle as a result of an elevated shoe heel, and now we’re suggesting that the heel should be constructed from a material that bends and twists. Meaning that heel is all-too-likely to get bent out of shape, leading to trips, slips and, more likely than not, an ankle sprain or two.